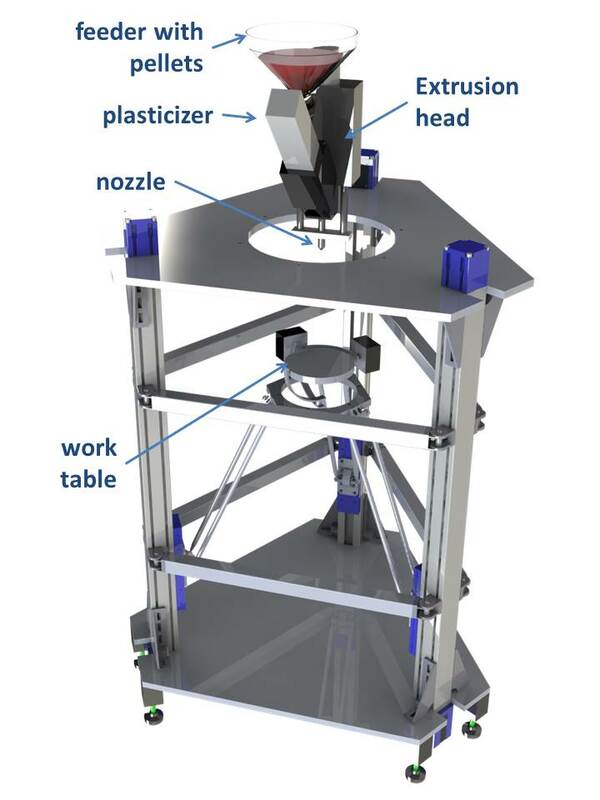 The device has been developed for the 3D metal (or advanced ceramic) additive manufacturing. It is an evolution of the traditional FDM machines very popular for printing plastic objects. - A work table with five degrees of freedom (three along the x,y,z axes and two rotational). - The starting material is not in form of a wire but in form of granules, fed by gravity through the feeding unit. - Three types of feedstock have been used (stainless steel, inconel and zirconia) mixed with water soluble polymeric binder. - The extrusion process is influenced by the rheology of the binder. 3D Manufacturing of three-dimensional metal objects and / or ceramic with a high metal content. Collaboration for industrial prototype development and validation.